Navigating the Bible is a book that was a long time in the making. This title really flowed from my heart to help people read, understand, and apply the Bible. There are many things I love about this book. 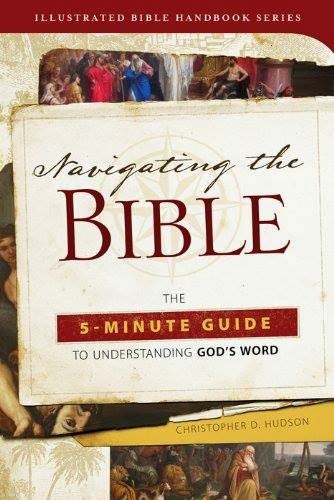 First, the 5-minute approach helps make the Bible accessible to everyone. The hope is that any reader can read the background information and an accompanying Bible in just a few minutes and better understand God's word. Also, the running timeline that appears on every page helps put the Bible in context. With a quick glance readers will be able to put Bible events in order and understand what else occured in world history as the Bible's events took place. Finally, I love the people profiles. These 40 illustrations offer a short, but helpful biography to many key Bible characters you'll meet as you read. Will We Have Physical Bodies in Heaven?